Lignano Sabbiadoro, in the province of Udine, Friuli Venezia Giulia, is one of the most important beach localities on the Adriatic sea and is also known as "the pearl of the Adriatic", famous for its golden-sand beach long 8 km awarded with a "bandiera blu". Lignano is located on a peninsula and is divided in three localities: Lignano Sabbiadoro, Lignano Pineta and Lignano Riviera that offer the tourists the opportunity to be surrounded by nature but also have fun in the local clubs, squares and shops. 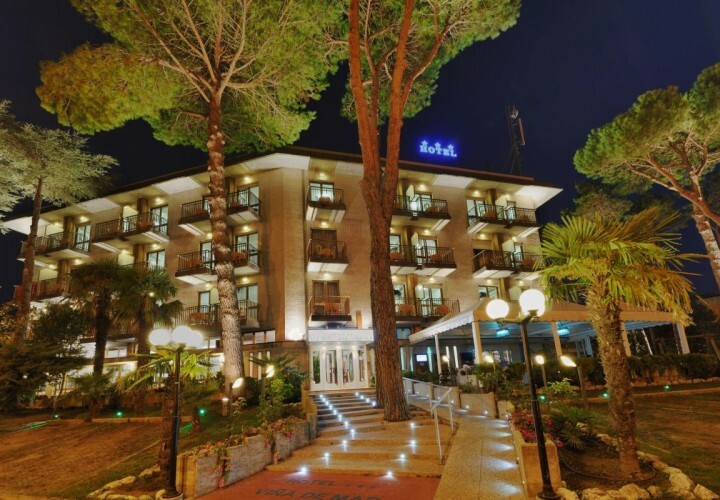 The first locality is famous for its beautiful beach and its historical centre full of shops and clubs; Lignano Pineta is a small centre characterized by fancy boutiques; Lignano Riviera is the perfect place for those who want to spend a relaxing holiday in close contact with nature. The perfect season to visit Lignano Sabbiadoro is summer, when this locality comes to life with many shows, events and fun evenings organized for young people but also for families with children. Its beautiful beach is equipped with modern structures such as gazebos, games for children, sports and recreational facilities for entertainment. In Lignano Sabbiadoro many sports events and national/european/international competitions are organized: karate, water polo, judo, beach rugby, beach soccer and much more. Lignano Sabbiadoro is also famous for the Marano lagoon, a wonderful place between dry land and sea from which it is protected by a stretch of sand that guarantees calm waters even when, off the coast, the sea is rough and the wind is strong. Many rivers flow into the Marano lagoon reducing its salinity, even if there are mouths from where tha seawater comes in: all of this results in a great biological diversity. In Lignano Sabbiadoro, it is also possible to visit two natural reserves: the reserve of the Foci del Fiume Stella and that of the Valle Canal Novo. This locality is important from a gastronomic point of view as well: it offers famous D.O.C. wines that can be tasted with local cold cuts, cheese and fish dishes.